The proceedings of the conference Artists’ Materials. 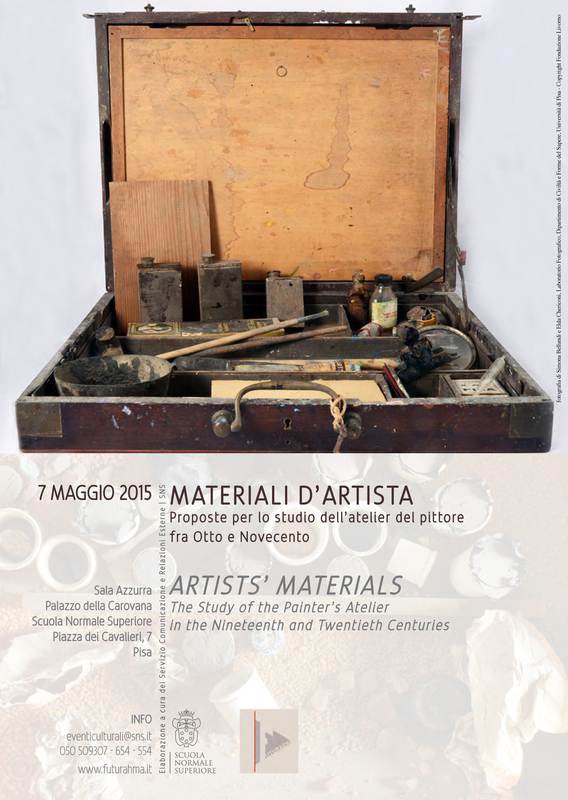 The Study of the Painter’s Atelier in the Nineteenth and Twentieth Centuries (Scuola Normale Superiore, Pisa, May 7th, 2015) will be published in early 2016. The volume will be edited by Margherita d’Ayala Valva, coordinator of the conference, and Joyce Townsend, Senior Conservation Scientist, Tate in London. First insights will be given on the following subjects: the artists’ use and experimentation of materials, the relationships between artists and companies producing fine arts materials, the production, supply and marketing system, the cataloguing and musealization of the painters’ studio.